You Will Want to Plan a Weekend or Longer to Soak Up All the Sequoias Have to Offer! Right next door to Three Rivers, just a short drive away from the village, lies the entrance to the world famous Sequoia National Park. This sprawling national park spans 404,064 acres and boast hundreds of miles of hiking and backpacking trails, among old growth forests, creeks, streams, rivers and waterfalls and giant sequoia trees, including the General Sherman tree, the largest tree on Earth. In the winter and early spring, nearby Sequoia National Park provides countless opportunities for snow sports such as snowshoe hiking and cross-country skiing, in addition to snow play such as snow boarding and sledding, as well as snowman building. Ready to Explore? Check Out These Recommended Stops in the Sequoias! Sequoia National Park offers a wide range of activities in diverse landscapes. Whether you prefer a short stroll or a week in the wilderness, a quiet sunset or a roaring river, adventure awaits you here. But whatever type of adventure you choose, just get out and explore! Hundreds of miles of trails offer opportunities to wander through sequoia groves, look deep into the wilderness, or experience wildlife. Choose trails from easy to strenuous, from paved trails to rock climbing terrain. Interested in learning more about the parks? Join a ranger for a free walk, talk, or evening program. These are always unforgettable and highly educational. 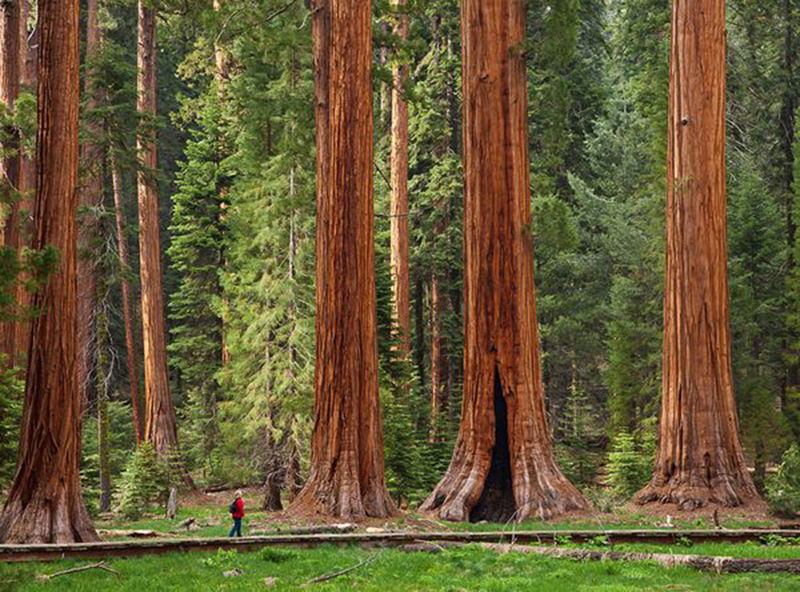 The Sequoia Parks Conservancy also offers exciting activities and programs, too. Be sure to stop by the Sequoia Parks Visitor Center to enjoy exhibits, get help with trip-planning at the information desk, or browse park bookstores and National Park Service gift shops. And no trip to the Sequoias is complete without exploring the underground world of Sequoia! A Crystal Cave tour takes you deep into a marble cave with stalactites, curtains, and other formations. During snowy winters, explore the multiple cross-country ski and snowshoe trails. Bring your own equipment or rent it at park lodges. When conditions are good, rangers may lead snowshoe walks on weekends and holidays. End your stay with a sunset view off of Moro Rock, where a stone and concrete stairway leads to the top of this granite dome. From the top, enjoy sweeping views of the hills below and the wilderness to the east. 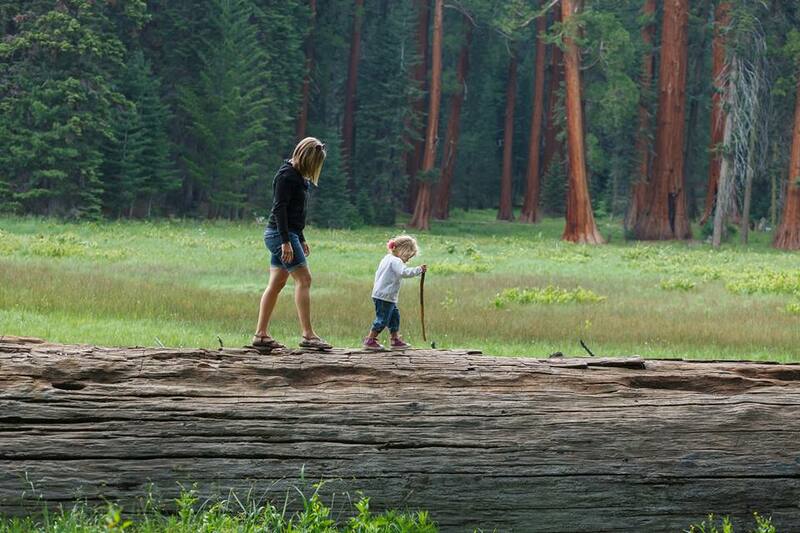 Whatever adventure you choose, there is something for everyone in the Sequoia National Park. Stop by for a day just to peek at the Native American rock art and artifacts, or plan a week long back country trek among magnificent glacial canyons, broad lake basins, lush meadows, and sheer granite peaks – the hallmarks of the most rugged portion of the High Sierra. Come and see firsthand why this magical area is visited and valued by so many people from around the world!